← Kindle Unlimited 2.0—Should you stay or should you go? KINDLE UNLIMITED 2.0: BETTER OR WORSE? Here a few quick questions about the new Kindle Unlimited policy. If you’re an author, please complete this brief survey. You can view the results after you vote. Kindle Unlimited now pays royalties to KDP Select books based on pages read (KENP read) instead of a flat rate per borrow. 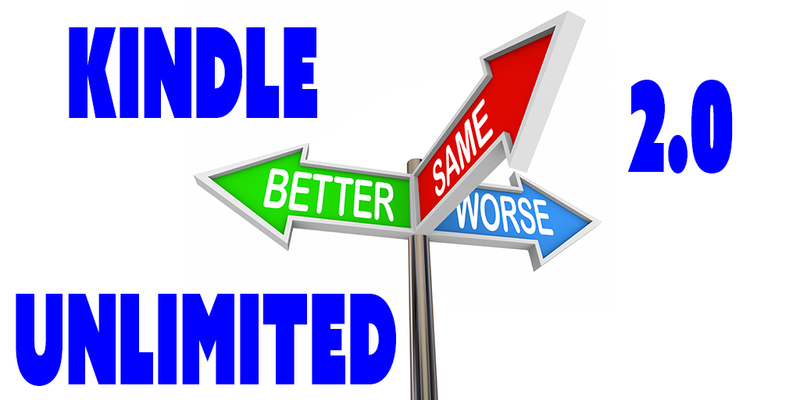 Do you like the new Kindle Unlimited policy or the old policy better? Which of the following options best describes your reaction to the new Kindle Unlimited pages read policy? This survey will remain available. Feel free to return and check the results after more authors have taken it. Easy enough to spot the trends, even with a limited sample. I answered ‘not sure’ to the first question, but only because this was closest to my stance from the options available. I absolutely understand and support Amazon’s decision to make these changes, as I’m sure a majority of authors do, but on a personal level I expect to take a hit. I have a penchant for writing novellas. Only three of my books exceed two-hundred pages. So I’m not sure I ‘like’ the new policy. I still believe Amazon did right in making changes, although the new system needs some tweaking. Thank you for clarifying in the comments. Multiple choice surveys always seem to leave an option out.